The main reason why I’m refocusing is because I think the debate is going nowhere, and I don’t want to waste my time on a futile project. We are not going to get a decarbonized energy system by 2050. We are going to fail the climate targets, probably by a large margin, and I suspect that a warming of about 3 degrees centigrade is going to be almost inevitable. It’s perfectly possible that self-amplifying feedback mechanisms under way will amplify this change even more. What this will mean for humans is difficult to assess, but I doubt it’s going to be anything good for the vast majority. The global poor will suffer the most, while we here in the rich North may be able – at least in the short term – to insulate ourselves from the worst effects and retreat to our own virtual bubbles to avoid hearing the cries of the others. Share of low-carbon energy as a share of total energy supply. Graph from our book Climate Gamble. Actually achieved build rates for different energy sources in history, and the required rate for 2°C target. Picture by Carl Hellesen. However, nothing about this urgency is communicated to the broader audience. In general, people want to hear happy stories that fit their preconceptions; and the looming Ultimate Victory of renewable energy fits perfectly to the preconceptions of almost all environmentalists (who are also the only ones really concerned about the climate change). The people want to hear that the new energy messiah will deliver us from the evil; and scores of people around the world deliver. Very vocal groups argue that accomplishing 100% renewable energy system by 2050 is going to be easy and cheap; I can’t but keep on thinking how long it will take for the optimist groups to begin asserting that THEIR plan can do it by 2049 while giving everyone a pony as well. Because we’ve been here before. In the 1960s nuclear energy was supposed to be THE energy source for the 2000s. Oil drilling was supposed to become unprofitable by the turn of the millennium, and the only real question was exactly how many nuclear power plants we’d ultimately end up building. The gushing, completely uncritical rhetoric that totally ignored any and all concerns about technical, economic and political issues inherent in such grand, technocratic schemes is almost word to word identical to the rhetoric employed today in 100% RE circles, as I’ve documented in several essays (e.g. here, here, here and here). All this has been to no avail. Realism never makes for a good copy, as long as there are people who make a living from selling a dream instead. No matter what we do, critical discussion of problems that are likely to crop up when renewable energy use increases has been confined to the blogs and discussions between a small group of like-minded people. Perhaps this shouldn’t have been surprising: after all, this is also exactly what happened with nuclear energy as well. Critics of the nuclear dream were ignored, downplayed and vilified – until at some point, with enough experience, the actual techical, economic and political challenges became too large to ignore. My reasons to support almost all solutions that can reduce our carbon footprint, in one image. Perhaps we’d be losing even if this wasn’t the case. Fossil fuel interests and the logic of current capitalism are so powerful and they have such a grip on world’s economy (and hence politics) that this may have been a losing battle regardless. Nevertheless, these divisions within the environmental movement critically diminish our influence just when we all ought to be advocating for more clean energy – not less, as many “green” organizations are de facto doing. We ought to fight and defeat the Great Enemy first, and then – only then – resume the old fight between nuclear and renewables. But that’s not going to happen. Some blame for this lies within nuclear advocates, too – too many are nothing but mirror images of the individuals and organizations they claim are anti-science or unwilling to change their outdated thinking. That said, it is only from the ranks of the 100% RE advocates where I keep on hearing that we should exclude some potential solutions just on principle; there is nothing close to similar attitude within pro-nuclear environmentalist circles, few zealots excepted. This entry was posted in Ecomodernism, Energy, Uncategorized and tagged Energy, Environment, Nuclear, Renewables. Bookmark the permalink. 29 Responses to I’m no longer advocating for clean energy; here’s why. Everyone can get out :). I’m burned out by the circular debate for now, but who knows whether I’ll regain strength in the future! Sorry about getting into this discussion late.Nuclear power did not live up to its promises for good and bad reasons. And I will only add one thing that was not mentioned. Nuclear power is based on a fuel that is not renewable and therefore it is subject to Hubbert’s law on non-renewable energy sources, they peak and then decline. The production rate of uranium peaked near the end of the Cold War. They have been breaking down weapons grade uranium to reactor grade for over a decade. Otherwise, uranium would be selling for over $1000 per pound. On the other hand, solar power is based on technology and is following Moore’s Law in increasing efficiency while lowering cost. Solar power is cheaper than nuclear power, coal, oil, and just recently natural gas. In fact, solar power is getting so cheap, it will be used to remove CO2 from the air and make methane for energy storage. The real world is marching on with solar power into a future with a whole lot less pollution and more cheap power. Your information about price and availability of uranium are way off. Megatons to megawatts program ended on Dec 2013, and we are now running on uranium extracted from the mines. At $1000 per pound even seawater extraction would be more than profitable. Then we have more than ample supplies of thorium, which can be used to supplement or even replace fuel in most current reactors, sometimes with minor modifications, sometimes simply by changing the fuel configuration. The entire reason why fast neutron spectrum reactors haven’t been taken into widespread use is because uranium is so cheap and plentiful. As for inevitable solar revolution, I wrote the entire piece to note that we’ve seen this rhetoric before. Multiple times, actually – almost exactly the same rhetoric was deployed in 1820s (yup, 200 years ago) in an attempt to convince people that steam power was on its way out and the future belonged to hydropower. Perhaps this time is different; certainly those are the four most dangerous words in business. I consider myself one of nuclear energy’s most ardent advocates, so I felt the need to respond to the following statement. The history of nuclear technology development is far too complex to point to any single aspect as the only possible reason for a particular outcome at a particular time. I am convinced by evidence, both direct and circumstantial that the fossil fuel industry and its allies played a major role in derailing and hampering nuclear technology from both a research & development perspective and from a deployment/expansion perspective. They did not work in isolation, however, and joined forces with people that were critical of nuclear energy for other reasons, including a desire to halt and reverse human development. There is no doubt that there were errors committed by true believers in nuclear technology, but there were also a number of purposeful actions committed by people and companies whose loyalties were divided. They might have had some interests in nuclear, but they also had numerous interests in other energy generation technologies. Many individual engineers move seamlessly between designing equipment for nuclear power plants and designing equipment for fossil fuel plants or wind turbines. Their income is not dependent on the success of nuclear, and they often have no emotional attachment to any particular technology other than the one that they are being paid to work on at the time. Many companies have similar divided loyalties. In fact, there are very few that have more interest in nuclear than in some other field of endeavor. They are a part of the nuclear industry, but they are not “nuclear” companies. There is tremendous room for nuclear technology to improve, especially along the vectors of providing cost effective solutions to the energy supply challenges of a wider range of customers than just large electricity generators. We’ve made plenty of internal errors, but it is a shortsighted mistake to believe that there hasn’t been serious opposition and well funded handicapping involved in the temporary “demise” of nuclear technology development. IMO, nuclear is only part way up the first ‘S-curve’ of technology development. There’s a huge body of work necessary, but the asymptotes that will eventually be limiting are not even in sight yet. Thanks Rod, and I wish you all the best. I’m still not convinced that the opposition was as major a factor as you seem to think, but I can change my opinion, so keep working on it! Thanks for all the work to you as well, even if we disagree on some issues I still think your work has been of great value. Your voice in the debate will be a loss. I wish you good fortune in whatever you pursue from here. Thanks! I’ll probably write another post later, explaining the environmental motivations for my pivot towards more direct political advocacy. In short, I think we need political change because climate change cannot be solved, and there is a real threat of descending to fascism as as a result. I enjoyed your blog. It is a lone voice of Reason in the climate change debate wilderness. Not to worry though, some of this crazy stuff on the internet just might work. Thank you, and I hope others pick up the slack. I’ll be posting more about my comparison project between rhetorical histories of dream energy systems, but as that project isn’t funded I’ll be working on it only occasionally. You appear to just be uncritically repeating that famous oft-cited speech of Lewis Strauss. You seem motivated to create a false equivalence of nuclear and renewables, but that just leads you to distort the actual history. Thanks for your good work and sorry to see you go. Good luck on whatever you decide to do next. Note that I’m comparing rhetoric aimed at popular consumption and optimist prognostications, not recounting actual policy as these fine historians have done. If you read popular press of the day – say, Popular Mechanics – it’s almost impossible to miss the gushing pronouncements how the “Age of the Atom” is going to change everything. There were more sober assessments as well, mostly from people who were better versed in actual technology; but there were also quite uncritical supporters who confidently proclaimed that oil would be obsolete by 2000. This had real effect as well: two of my favorite examples are early 1960s discussions within the Finnish Agrarian Party (not known even today for innovativeness) about the possibilities of “uranium and thorium energy”, and a regional energy plan from 1968 where the question for the 1990s would be whether to build a single atomic power station to cover the entire energy (not just electricity) demand of the Satakunta region, or whether it might be preferable to distribute the generation to _two_ stations. Finnish paper mills were planning to build as many as 20 reactors to provide distributed power to individual paper mills, and there were announcements that nuclear power would make the existing grid obsolete, because small reactors and “atomic batteries” would provide all the power needed. Poor countries could leapfrog the development and ignore building expensive grids entirely, and so on and so on. I’ll be continuing with this comparison project, particularly if I get funding for it, but results may be some time coming. Thank you, and I hope all the best for your efforts, even if I sometimes disagree on tone and details. I’ll try to provide some support every now and then; it’s just that I can’t stay current on the debates any longer. As you probably know, I agree with Mike’s perspective on this. 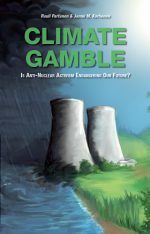 AFAICT, it’s reasonable to say that IF antinuclear advocacy had stuck honestly to evidence-based criticism of nuclear energy – rather than concoct the most misleading, fear-inducing falsehoods – to argue their case, the nuclear debate would likely have been settled decades ago, and all but the most optimistic projections of nuclear progress may well have come true. They may have come true because the process of enabling nuclear energy would not have been so severely hobbled by the need to be (literally) a million times safer and cleaner in relative terms than the most relevant competition: coal power. The situation with the current (100%) renewables debate is a almost a mirror image of the long running nuclear debate. In the renewables debate, it truly is the renewables optimists who are always presenting wild, incredible projections of renewables performance and growth, while it is their critics who present arguments that are solidly fact-based. While I can see how your efforts pointing out apparent similarities between nuclear optimism at the time, and renewables optimism today can serve a useful purpose, I would say that in the course of noting similarities, noting the crucial differences should not be neglected. When the renewable optimists are ultimately proven wrong, it will be because their projections weren’t credible to begin with. The early nuclear optimists – on the other hand – were very likely proven wrong largely because the organised opposition succeeded in undermining crucial public acceptance through the use of misinformation only, to create extraordinary fear, uncertainty and doubt. You made a great, lasting contribution. Thank you. We’ll always have Paris ;). For sure! :D. Thanks Ben, and good luck! I agree we might have a chance at solving climate change with nuclear. Without it not a chance. I see hope in what China is doing. They are investing in large renewable facilities and power transmission at the same time as they streamline present nuclear technology and invest in long time-scale development. China is facing serious environmental challenges and looks to me to be trying to face up to realities. The Responsible Party model may not be the worst concept of government to tackle large-scale grave issues. The Politics as Marketing Exercise shows are certainly not showing capability to do serious problem-solving work. I sure can relate to that. And maybe our paths will cross again as we’re working to get the energy source realized that fits this dream: the thorium MSR. Lobbying to get its research funded is the fun part of this journey. The debate on clean energy is the dirty part of this work – so I’m gratefull you have been doing it. I wish you all the best – and just drop by on our fb page every year or so, maybe we’ll manage to get one pie out of that sky! I appreciate the reality-based perspective you take. Throughout this article you point from pronouncement to reality, pronouncement to reality. You further counsel caution until renewables have ACTUALLY proven themselves–and you do not seem confident they will. So why would someone so grounded in reality be interested in ecomodernism or FALC? If there ever were two fantasy genres less connected to reality, I would love to see them. As far as ecomodernism goes, it might be worthwhile to point out that there seem to be two quite distinct branches of ecomodernism. The US-based branch is probably the most familiar to you. However, I represent a Finnish branch, or “Nordic” or “Northern” ecomodernism. In a recent Twitter discussion, some people who have also had bad experiences with the US branch of ecomodernism suggested that we ought to call ourselves “ecopragmatists” instead. 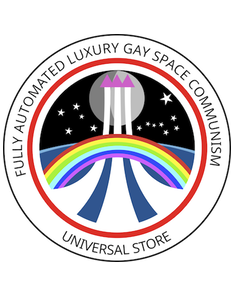 That was actually the alternative name we discussed in our founding meeting but decided against, since we were so pragmatic that we hoped to leverage an existing “brand” so to speak. Outside Finland and the Nordics, there are a lot of ecomodernists who think like we do, but they may not be the most vocal ones. Now, as far as FALC goes, I do readily admit it is an Utopian project. But I do believe we humans could do with some positive utopias that are more relevant to people’s lives than the question of where actually the electricity comes from (for example). This is a mad scheme but it may be just mad enough to succeed. We’ll see; at least so far I’ve received a lot more positive feedback about it – from a broader audience – than about all my climate activism combined. It’s not as if we believe literally that within the next few decades we’ll be zooming around in starship Enterprises. It’s that we think we ought to have a multi-generational aspirational goal: to end poverty and scarcity once and for all. I think of it as a project to build a cathedral – not one of those who laid the foundational stones in those projects lived to see the cathedrals complete. Though there is even more direct analogue. Back in 1903, the then-revolutionary Social Democratic Party of Finland met in the small city of Forssa to decide a party platform for the new socialist political movement. Among their demands were wildly unrealistic fantasy schemes like 8-hour workdays, 2-day weekend, regular vacations, and free education, healthcare, and pensions for all. Those demands were widely ridiculed as impossible and utter fantasy, which could not be conceivably entertained by any serious person. Yet less than 80 years later, the demands of the “Forssa Program” had been implemented in full, with the minor exception of total separation between the Lutheran Church and the Finnish State. Now, we do have that nagging problem about natural resources that might throw a spanner in the works if we want to extend similar lifestyles to everyone on planet. However, my research on the nature of scarcities in particular (this is a topic I did a PhD on) has led me to seriously question the accepted narratives about unavoidable scarcities: scarcities are usually about unequal access, not because of lack of resources per se. Provided that we can develop institutions to manage the commons and hence avoid the tragedies of the commons – and Elinor Ostrom showed us this is totally possible, if slow – I suspect that there is a good possibility we could, in fact, learn to provide enough for a good life for everyone on this planet while simultaneously keeping within ecological boundaries. Am I sure this can be achieved? Of course not. But I’ll try. Besides, I’ve come to realise that achieving radical economic democracy is very likely a necessary precondition for successful climate mitigation, not a nice bonus that we can live without.